Moving this summer? Follow these helpful moving tips! Keep Important Documents Separate: You may need to register your children in school as soon as you get to your new destination. Make sure that you keep copies of your children’s school and medical records easily available. Don’t Try to Move Frozen Foods: Unless you are moving right around the corner, it can be difficult and even dangerous to try to move frozen foods in a cooler. It’s easier and safer to try to eat everything, or give it away before the move. Think About the Temperature: You don’t want to have to do your heaviest lifting during the hottest part of the day. Plan to pack and unpack at night or early in the morning. Make Sure the Utilities are On: If your new home has air conditioning, you will certainly want to use it while moving any furniture. Contact the utility company in your new location and make sure the electric is on so you can keep cool and get the refrigerator running to store some refreshments. Think About How Hot the Inside of the Moving Van Gets: The inside of a moving van can get pretty hot. This particularly applies to customers who are moving in California during the summer. Candles can melt, and CDs or DVDs can warp. Cover leather furniture with a pad instead of wrapping it in plastic. Think about what else could melt or become damaged inside a hot container. The easiest way to avoid stress during a summer move is by hiring the professional movers of Hazelwood Allied. We work hard so you don’t have to. We are a full service relocation company that provideslocal, national and international moves for residential and commercial clients. Request a free moving estimate, then relax while we carry the load. 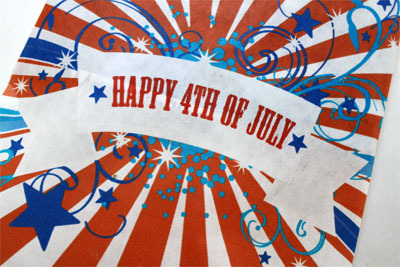 The McCann family wishes you a safe and happy 4th of July! 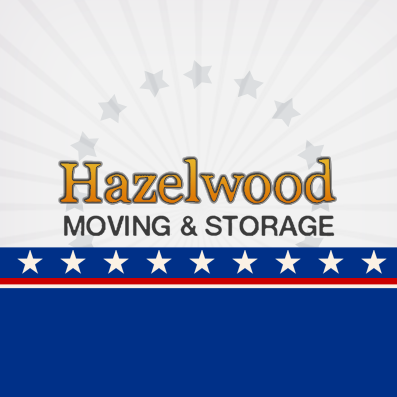 About Hazelwood Moving and Storage - Customers refer to Hazelwood Allied Moving and Storage as one of the most professional self-storage and moving companies Santa Barbara has to offer. Santa Barbara businesses and home owners rely on the full-service relocation company to handle everything from family heirlooms to rugged business equipment. Owned by the McCann family for over 41 years, the nationwide movers maintain a commitment to quality and customer service. When using these quality movers Santa Barbara customers can sit back and let Hazelwood carry the load. Visit the websiteand Facebook page or call 800-541-5958 for more information or to schedule a complimentary move analysis. Thank you for reminding about wrapping DVD's and to put the candles in the coolest place possible when moving as the van gets pretty hot in summer. I'm sure Hazelwood makes moving easier in Santa Barbara area. "Don't Try to Move Frozen Foods" - this is a very practical advise. Frozen foods are best given away to your close neighbors than occupying precious moving storage only to get wasted. Reading through these tips, many would think moving is simply deciding, packing, and actually moving. But it's far from 1,2,3.. Professionals are not called professionals for no reason. Many people would have saved themselves from the all the stress relocating can bring to themselves and most especially for their family. Definitely, hiring Santa Barbara's careful movers is the best way to move on a Summer. @Nathan: I couldn't agree more with you: "Professionals are not called professionals for no reason. Many people would have saved themselves from the all the stress relocating can bring to themselves and most especially for their family." And this is a very important thought to keep in mind especially for Santa Barbara businesses. Moving residence is one thing, and moving a business is another. Pinching pennies the wrong way may mean disaster to your business. So free yourself from all the worries, and hire a trusted professional moving company.